Hospitals, clinics and practices are actively interviewing physicians for positions available in 2019. Numerous solo practices, single specialty and multi-specialty groups are searching to replace retiring physicians, or increase their number of practicing physicians. Olesky Associates, Inc. has been in the physician search and placement industry since 1984. Our Search Consultants are in the business of physician placement only, and we use a state-of-the-art computer network to access all of the information necessary for mutually beneficial placements nationwide. In addition to the services our firm can provide, we can obtain the necessary expertise for additional services, including legal support to assist with any immigration processes as needed. Through consultation and implementation, our approach is to actively involve the physician through education and support. Our fees are typically paid by the hospitals, practices, or clinics where doctors are placed. 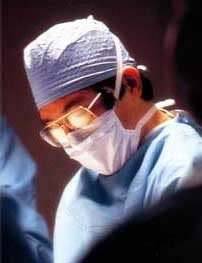 Our physicians also take comfort in knowing that their confidentiality is guaranteed during the entire search process. We look forward to working with you and assisting you in your career search. Please visit our online career resources or contact us to begin your search.